Every year thousands of Americans embark on their “Adventure of a lifetime”, while others embark on their “Adventure of the year.” They book a hunt through an outfitter, with their minds and hearts set on bringing back that trophy they have pictured in their dreams. However, in the end, it is about much more than just the hunt. It is the experience, the stories they have to tell, the enjoyment of everything that you offered them from your services to the accommodations and the food. With so much emphasis on the hunt and the trophy, many forget about the importance of the accommodations. We provide the solution for you to accommodate your customers in a beautiful fully assembled log cabin without the headache of assembling a kit or the excessive cost of a stick built cabin. Our prefab hunting cabins will keep your customers dry and warm, giving them a place to take a hot shower and create a great atmosphere to enjoy their evenings. When you offer the hunt that gets their hearts pumping, guys will save their overtime money for months and months in order to experience it! Outfitter reviews are all over the internet and millions of “would be” customers view them every day! Only you can control the response your customers share from their experience with you. By now you surely know that nearly everyone looking to book a hunt is looking to see what others have said about their experience with a particular outfitter. With more information at our fingertips than ever before, the impressions that your customers take with them can be heard by anyone who takes a second to look. A positive word from a happy customer can be the greatest advertisement that you will need! You sell an Experience, not just a Trophy! Yes, it is true that the reason that people book a hunt or trip through you is to go in search of the trophy and while that may be the most important piece of the puzzle, failure to put together the full package in terms of experience, will keep you from reaching your full potential. Have you ever thought about the amount of time that your hunter actually spends in the lodge and or hunting cabins? Over the course of a week your customers can spend more than 50% of their time in the lodge, making it imperative that the comfort and feel of the buildings measures up with the quality of the hunt. In the evenings, guests need to have the space to kick back and enjoy themselves, get a hot shower and enjoy a nice home cooked meal. Providing the quality facilities for those things to happen is vital to the overall experience that you offer to your hunters. However, in the end it is about much more than just the hunt, it is the experience, the stories they have to tell, the enjoyment of everything that you offered them from your services to the accommodations and the food. At the conclusion of a hunt you are left with individuals who fit into these categories. Ecstatic, and ready to tell anyone who will listen how great it was and more importantly how they should go too. They feel that the outfitter met and often exceeded their expectations in all aspects of the stay. They are more likely to rebook your modular hunting cabin for a second experience and will post positive reviews for the outfitter. Happy and enjoyed their time. Will tell their hunting stories to their friends and others who ask, but not likely to encourage others to go. They typically will not rebook, because they were not overwhelmed and can maybe find the same or better experience elsewhere. They feel the outfitter met expectations in all aspects of the stay. They are also not likely to post a review even though they were satisfied and enjoyed their time. Disappointed and feel like the time spent was not up to what they were expecting. They will tell those who ask that they didn’t necessarily enjoy their hunt and that they wouldn’t go again. They feel like the outfitter in many cases did not meet the expectations for the different aspects of the hunt. Ripped Off and ready to tell anyone who will listen how terrible their time was and do everything they can to keep people from using that outfitter. They feel like they have been cheated and taken advantage of and that the time spent did not meet any of their expectations and was far below what would be expected for the money they spent. Over the course of a week, your customers can spend more than 50% of their time in the lodge, making it imperative that the comfort and feel of the buildings measures up with the quality of the hunt. On any given hunt you, as an outfitter, are faced with the things that you can control and the things that are out of your control. Anytime you go hunting there is no guarantee of a trophy and the prospect of taking an animal is certainly not something you can control. What you need to pay special attention to is the aspects of your business that you can control and the lodging is a key part of that. If you take the steps to ensure that those things within your control measure up to expectations, you will be well on your way to happier customers, who come back to stay with you and bring others along with them. We offer outfitters modular log cabins and lodges that enable you to meet the lodging expectations of your customers every time they step through your door. If your guests come back from an evening in the words heartbroken over the trophy that they missed and enter the comfortable, warm atmosphere of the pre-built hunting cabin, they can set the disappointment aside, relax and enjoy themselves rather than being left to wallow in their misery in sub-standard living conditions.  Here at Zook Cabins we specialize in providing you with the perfect modular hunting cabin for maximizing your guests’ enjoyment. If you are like most outfitters, you have probably thought at one time or another, that it would be great to have better lodging. Today we can make that dream a reality by providing you with an “outdoorsman’s paradise” at a fraction of the cost of today’s small hunting cabins. Our fully assembled prefab hunting cabins are built in Lancaster County by our Amish carpenters, known for their workmanship and attention to detail. Over the years they have developed a reputation for their outstanding work ethic that is second to none! It’s non-stop obsessed with every detail from beginning to end…never taking any short cuts! We take great pride in every building that leaves the shop. 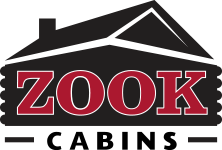 That’s why the owner personally inspects every building to ensure that each measures up to the exceptionally high standards that we have set and our customers appreciate. Our goal is to provide a pre-built hunting cabin for you and your customers to enjoy and create those memories that will last for years to come and keep your customers coming back year after year! When placing orders for your outfitting business call Mike at (610) 595-4650 for details on how you can save big with your purchase and also learn about exclusive opportunities available only for Outfitters! Britt at Bear Mountain Ranch in Kremmling, Colorado met us at the Eastern Sports and Outdoor Show in Harrisburg, PA. After getting a chance to walkthrough our buildings at the show, he decided that this would be a great way to upgrade their lodging from the canvas wall tents to small hunting cabins and log cabin units. After looking over the literature and seeing the building, Britt was convinced that this was the way to go, but he wanted to make a few changes to the layout, put some extra-large windows in and add a metal roof. After a phone call, we put together a quote and also a set of drawings for them to see what their building would look like when finished and faxed those drawings and the quote to Britt. After looking over everything they decided that was exactly what they were looking for and placed their deposit on the buildings. Bear Mountain Ranch now has 3 beautiful new log cabins in place for their hunters to enjoy out in their remote base camp. 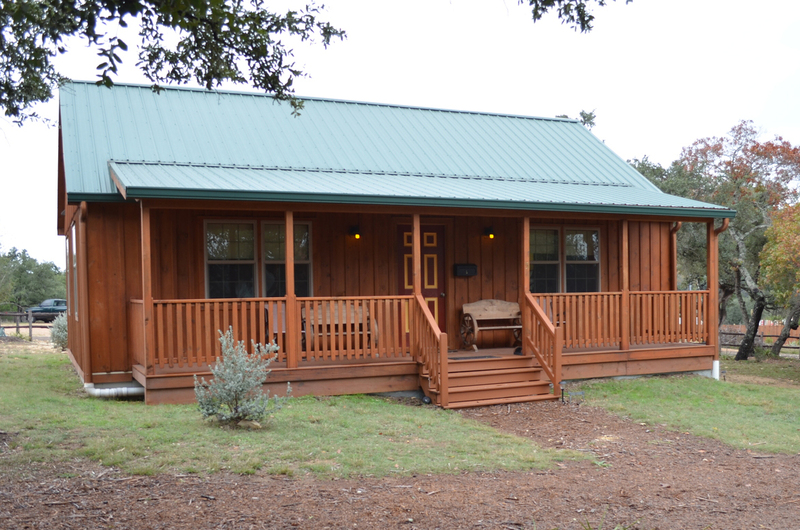 These cabins add value to the overall experience that each hunter has when they come to hunt at Bear Mountain Ranch. Will this be the year where you make the commitment to upgrade your facilities and offer a better experience to each hunter that comes through camp? We would love to talk with you about your project and help you to separate yourself from the competition and keep your hunters coming back year after year. To speak with us about how we can help, call (610) 595-4650 and ask to speak with Mike, our outfitting expert. How do I get started? 1. Decide what kind of building you need (bunkhouse, bath house, cabins with amenities, a lodge, etc.) 2. Call Mike to discuss your needs and design the cabins that will work for you.